© 2015 by Kenneth Schneyer. Of course it would rain. Hungry and footsore after three days of walking, his back and shoulders aching from carrying his heavy pack, all Malik needed now was to be soaked in water that barely resisted becoming ice. His first thought, though, was for his books, which wouldn’t be long protected by the pack. He didn’t always need books to be hired, but the better sort of customer liked to see them as proof of his learning and investment in knowledge. He moaned, pulled off the pack, and hugged it to his chest, shrugging so that his cloak would cover it. After an hour, Malik was shivering and nearly unable to see, and he felt almost transformed by a coating of mud; only his hat was still untouched by it. If the directions he’d been given were good, then there ought to be a village somewhere near here, but he saw no sign of it; the road seemed to stretch forever through this forest. Maybe if he found a sufficiently broad tree, he could shelter under it. So faintly that it might have been a trick of the rain on the leaves ahead of him, Malik thought he heard the whinny of a horse. After another hundred paces he heard it again, louder. Yet another hundred, and the mist before his eyes parted to reveal a mighty brown charger, tethered to just such a sheltering tree as Malik had hoped for. But most welcome in his sight, the horse stood next to a tent. It was small but well-crafted and sat beneath the overlapping branches of three trees, on the driest ground he had seen for five miles. He sneezed, and the horse turned to look at him; he heard a rustling from the tent. The tent flap opened, and a knight stepped out. She was nearly a foot taller than Malik, hair so blonde it was like frost, pale eyes watchful, her hand on the long knife in her belt. She wore a shirt of fine mail marked with strange arms: a foot trampling a lizard. She regarded him for a long moment, eyes moving from his feet to his arms to his own eyes. Then she nodded judiciously. “You look drowned,” she said in Frankish. She put her hand to her waist and gave a slight bow herself. “Fara of Hallstatt, daughter of Odger.” She stood aside and let him enter the tent. He set down his pack on the dryish ground next to it. With her gear, there was barely enough room in the tent for the two of them to sit. He lowered himself carefully, and she sat beside him. Reaching into her own pack she grabbed a hunk of hard bread, which he gratefully took. For a long time, neither of them said anything. Fara leaned on her pack. Malik shivered the kind of shiver after which one feels warmer. “As you have done?” asked Malik. It turned out that Fara was headed to the same village as Malik. In the cool sunshine the day after they met, they both walked alongside the great horse that carried all their gear. Near sunset, they came to a turn in the road that was shadowed by many tall trees. Around the bend, in those shadows, two men blocked their way. Both carried knives. “We are headed nowhere in particular,” said the paler of the two men. “But wherever we go, we will need money and transportation, witch.” He nodded towards the horse. “Your horse would be very helpful.” A third man stepped out of the woods behind Fara and Malik. “I cannot let you take it,” she said. Her sword and shield were both strapped to the horse, and there was no way she could reach them before the men attacked. “We would like to solve this peaceably,” said the pale man. “That can be accomplished by your stepping aside and letting us pass,” said Fara, drawing her long knife. The pale man lunged forward with his knife. Fara stepped aside, kicking the man in the knee while she parried the thrust of his companion’s knife. The moment Fara moved, Malik reached into his sleeve for his own small knife, but the robber behind him was bigger and faster—and besides, as he’d told Fara, Malik was no fighter. Within a few seconds the man had him pinned by the arms, a knife at his throat. Fara’s two opponents were on the ground. One was open-eyed and unmoving with a hole in his neck, the other curled on the ground, moaning and bleeding from his gut. Fara shook her head, slowly stepped back to her horse, and drew her sword from its scabbard. “I said I’ll kill him!” said the thief. “I heard you the first time,” said Fara, holding her sword in one hand and her knife in the other. “Certainly I do. If you harm him, it will grieve me mightily and I will have to avenge him. Vengeance will start about ten seconds after he dies. I will cut off your prick, stuff it down your throat, then cut off your nose and send that after your prick, then gouge out each eye, then remove your entrails. It will take you twenty minutes or so to die, if I do it properly, and you’ll be in agony.” Her voice was calm, even pleasant, but Malik had no doubt she’d do exactly what she said. The thief’s grip loosened. Malik stepped away and turned to face the man, who had a big stupid face and now looked terrified. Fara and Malik watched the thief until he was out of sight. Then she looked down at the two bodies on the ground, shaking her head. “Stupid waste,” she said. Then she crossed herself and recited a rote-memorized De Profundis. Malik thought it unlikely that the dead thieves were believers, but decided to give them the benefit of the doubt and intoned the prayers to God to cause men to die in faith, and to cleanse them after death. It took only a few hours more to reach the village. The villagers weren’t surprised to hear of their battle with the footpads and didn’t question it; such men were not uncommon in the region, and these two in particular were known to them, though they hadn’t been seen in several months. Two of the locals helped bury the bodies. Malik and Fara stayed in the town for a night, but they were both disappointed in their respective hopes. No one had any use for traveling teachers just then, though some asked about buying one or two of Malik’s books. So far as he could tell, they couldn’t read, and he wondered what use they’d make of them. Neither had any of the villagers seen the dragon Fara sought, nor heard of her sister Basina the Swift, although they had heard rumors of a strange beast in Eihinheim, fifty miles to the north. There too, they said, a teacher might find work. Scholar and warrior covered the distance in two days. Eihinheim was the biggest settlement Malik had seen for many months, set near dark green mountains and a wide plain. They approached it at mid-day after easy travel. They found farmers cultivating cabbages a mile out from the edge of the village and greeted them cheerfully, but received no greeting in return. The men and women with soil covering their hands scowled at Fara and Malik; some looked frightened; others muttered. “Not the friendliest place,” said Malik. When they approached the edge of town, three large men with axes and scythes walked swiftly to them, blocking their path. “We’ll have no witches here, nor demons,” said the tallest man, holding his axe before him. “Again you lie!” roared the man with the axe. At the loud noise, the horse stirred. Fara stroked its neck. “How fast did it move?” asked Fara. “Are you calling me a liar, you unnatural thing?” The man stepped forward with his scythe. “We’ll go around the town,” said Fara calmly. “See that you don’t,” she said. At Bischoffshein the reaction was the same as in Eihinheim: bewilderment and hostility when the townspeople saw Malik and Fara, with no admission that anyone like them had ever been seen anywhere near the town before, and no recognition of Basina’s name or description. And as before, there were a few among these folk who remembered seeing a dragon with great clarity and precision, although they remembered seeing no one near it. Malik said nothing. As they followed the road north, they found a rough line of four gashes in the turf, places where the ground had been scored as if by three ploughs together—or one giant foot with claws. It looked like what they’d seen in Eihinheim. But when she turned her horse off the road and toward the woods, Malik followed behind. For another day they kept to the trail. Malik went over in his mind all the things he had seen and heard, and tried to piece them together. Nothing in the stories he had read about dragons explained the weird phenomena they were seeing, but then again, he didn’t trust those stories. There were some that said that dragons could fascinate their prey before killing it, like cats or snakes. It hadn’t killed anyone in either Eihinheim or Bischoffshein, but what if . . .
“I think we’re getting close,” Fara said. They’d come to a grove where the markings on the ground were very fresh, and where they could actually smell the openings on the trees and the earth. “Stop for a moment,” Malik said. They found the dragon three hours later. They smelled it before they saw it, the sulfuric odor they’d been told to expect. Fara mounted her horse and took out her sword and shield, guiding her steed with her legs. She held the scrap of parchment in the fist of her shield arm. Malik, with the gear the horse had been carrying, dropped back a few paces. As they came around a stand of trees, they saw it. Its dark green hide was perfect camouflage in the forest; it might have been a pair of fallen trees. At the moment it was turned mostly away from them, scratching the bark off a birch tree with one of its forelimbs. The man with the scythe in Eihinheim hadn’t exaggerated. The creature was every bit of two rods long. Its hide was like worked leather, with patterns that might have been runes or letters rather than the separation between scales. Malik almost thought he recognized Latin letters, but when he stared at them, they changed into something else. Its head was strangely pale and rounder than Malik had expected; in the right light, it might even be the enormous head of a man, although again, when he stared at it more carefully, it more closely resembled a lizard’s head, or perhaps a horse’s. Fara’s own horse whinnied, and the monster turned towards them. The man with the scythe hadn’t described the dragon’s eyes. They were huge and burned with a silver flame that was nearly impossible to break away from. Malik took several deep breaths, cursing himself. Wasn’t this what he knew, what everyone knew about dragons? That they could freeze you until they devoured you? Why was he such a fool as to court a danger any farm boy would have known to avoid? When he finally tore his eyes from the dragon’s, Malik saw the woman on the horse ahead of him. A Frankish woman, huge and pale, and she wore armor! What sort of an unnatural abomination was this? Did not the Prophet, peace be on him, speak of the proper dress for women? And she wore a sword, as well! Never in his life had he seen something so awful. The woman is Fara of Hallstatt, your protector and companion. She and many women like her wield the sword. If you have forgotten this, it is the dragon’s doing. I am Malik ibn Ali of Cordoba, whose favorite flower is the orange blossom. The signature was his, unquestionably. It included the orange blossom glyph he put at the end of all documents. He stared at it, stumbling backwards away from the woman and the dragon. Fara of Hallstatt? The name called something like the echo of an echo of a memory. The dragon roared, an enormous but melodic sound, like the bells of all the Frankish churches at the same time. Malik almost looked up into its eyes again, but forced his gaze down to the paper. Fara of Hallstatt, my protector. A vision of three footpads, a knife at his throat, two bodies on the ground—. It came back to him in a rush; he remembered Fara, their meeting, their conversations. As that happened, the dragon seemed to wince as if jabbed by a painful weapon. She startled, as if she had forgotten he was there. When she saw him, her eyes widened under her helmet. She cried, “A demon! Are you in league with this hideous creature? I shall finish you both!” She raised the sword but didn’t turn the horse, as if undecided which enemy to attack first. She glanced down at her left hand and found the parchment, then opened it and began to read. Her brow furrowed and she shook her head as if to clear it. “Malik,” she said. She stared. Slowly she said, “I remember. I remember you.” The dragon, rather than charging when Fara’s back was turned, sank down on its haunches and flicked its spiked tail irritably, hissing. Fara nodded again. The dragon’s hide seemed to take on a greyish tint, as if a cloud had passed between it and the sun. It lowered its head and began to twitch and growl, a pained tone overlying its voice. That took longer. Eventually she nodded again, her face a mask of confusion. The dragon’s twitching took on the intensity of a seizure. Red, glowing foam came out of its mouth as it lay on its side and kicked its legs, howling in agony. There was a flash and a blast like a thunderbolt. Fara was knocked clean off her horse, which stumbled and almost fell. Malik was blown backwards and hit his head on the earth. Fara picked herself up first, coughing. Then she pulled Malik to his feet. It seemed that they were uninjured except for a few bruises, but their ears rang and they saw spots before their eyes for the rest of the day. The horse needed considerable calming, and for several minutes would not let either of them touch it, as if they were strangers. The dragon was gone, and so were most of the signs that it had ever been there. There were no scrape marks on the nearby trees, nor gouges in the turf. When they went back over their trail, they could not find the dragon’s. But when they returned to Bischoffshein, things were mostly unchanged. People remembered seeing the dragon, and they still treated Fara and Malik as if they were inexplicable oddities. Yet they were no longer so hostile; and let tired pair stay the night in the town. The next day, they decided to head for Strazburg. “I have a theory,” said Malik during their easy walk up the road. They continued on to Strazburg, a huge city gathering souls from many leagues in all directions. For the first two days, to their relief, no one treated Malik or Fara with anything but the respect and courtesy to which they had been accustomed before this adventure began. To have some warmth and decent food was a comfort, and Malik inquired about the private libraries of some local scholars as Fara began again to ask after Basina. In an inn on the third day, they ran across a portly, red-haired seller of cloth who had heard of a dragon killed near Bischoffshien. They asked him the details. The date and location made it clear that it was the pine-green dragon they’d destroyed themselves, but in this man’s telling it was killed by a knight’s spear piercing its eye. “And the knight?” asked Fara. Fara and Malik looked into each other’s eyes. They knew what they knew; they remembered what they remembered. Or at least they thought they did. Over the next few days, they questioned travelers from the north and elsewhere to gather more rumors of these dragons. At least five sightings were reported, though none of their informants had seen one themselves. All these dragons sounded similar to the one they’d killed—as well as they could remember it now. So began their long quest to find and destroy the dragons of Europe, to save Fara’s sisters of the sword and Malik’s friends and family from the oblivion these creatures wrought. They never did find Basina, but Fara and Malik had many adventures and touched many lives; always there was another dragon to fight, and always they fought it with their belief in each other. No tales are told of them nowadays, and this one is probably a lie. Kenneth Schneyer is a writer, professor, lawyer, actor, project manager, bicyclist, amateur astronomer, feminist, and Jew. He was nominated for the Nebula and Theodore Sturgeon awards in 2014; that same year, Stillpoint Digital Press released his first collection, The Law & the Heart. His 30+ published short stories appear in such venues as Lightspeed, Strange Horizons, Analog, Beneath Ceaseless Skies, the Clockwork Phoenix anthologies, Daily Science Fiction, Escape Pod, and Podcastle. 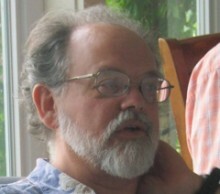 He attended the Clarion Writers Workshop in 2009, and now works with both the Cambridge Science Fiction Workshop and Codex Writers. Born in Detroit, he now lives in Rhode Island with one singer, one dancer, one actor, and something with fangs. He plays a fair game of stud poker, excels at presidential trivia, reads Tarot, actually understands the stock market, and cooks better than you do. You can find him on Facebook, on Twitter, or at ken-schneyer.livejournal.com.